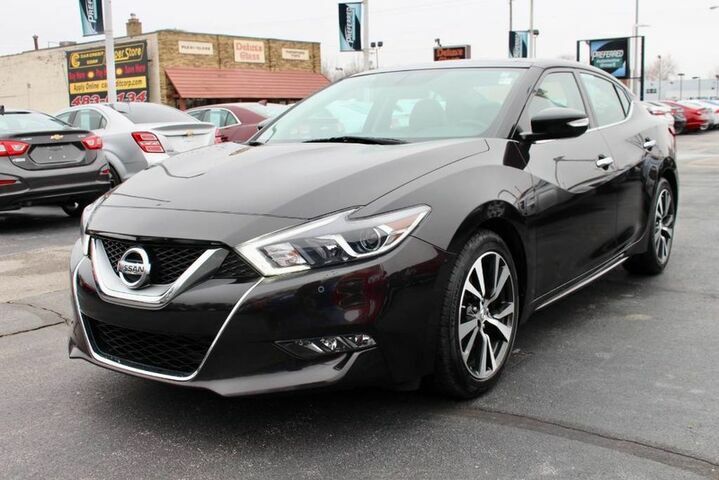 This 2016 Nissan Maxima 3.5 SL is offered to you for sale by Preferred Auto Fort Wayne State. The Maxima offers more space than the equivalently priced Audi, BMW or Mercedes but it also offers more pace than a high end Camry or Accord. The Maxima tries to let buyers get their cake and eat it too, reproducing the fun driving experience offered by European sports sedans, without reproducing their higher prices and smaller cabins. Strengths of this model include sporty driving experience, striking styling, powerful engine, upscale luxury features, and efficient CVT transmission.